Identify the feelings, or emotions that are associated with emotional eating, and how they cause you to overeat. Go to the identifying feelings page for additional information. Manage the emotion, by finding ways to reduce. or understand the emotion. There are many great self help books. If you are eating ice cream because you are depressed, learn about depression. You will learn that exercise helps with depression. Try exercising, and see if it helps. You may find that you need to actually seek medical help for depression. If you are eating a bag of potato chips at night when you are angry, learn about anger management. Maybe you will take a class and learn ways to discuss the things that make you mad, rather than eating chips. Change is good! Control food in your environment. If stress at work, causes you to overeat chocolate or junk foods, then do not keep a junk food stash at your desk, and avoid the break room at 3pm, when food cravings are high. A strategy might be to bring a couple of squares of dark chocolate to eat with some almonds and an Americano at 3 pm, at your break. This will help you feel satisfied. Do not make it easy to eat emotionally by keeping your comfort foods in your home. It is easier to pass your beloved chips at the market, than in your cupboard. Break the association of certain foods with certain emotions. If you always crave brownies when you are nervous, eat something opposite like fresh fruit with cinnamon. Eat the brownie later with your meal, when you are not nervous. The brownie is not bad, but the way you are using the brownie to deal with your nervousness, is the problem. Remember eating baked goods with a meal will help prevent food cravings too. Emotional eating, is a habit, and habits can be changed. 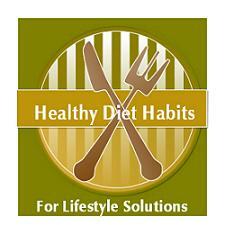 Develop healthy diet habits, by adding these lifestyle solutions to your life. The above list, sounds fairly easy, but emotional eating, could be a pattern that you have practiced, since your teens, and be difficult to break. Be patient with yourself! Small changes can make a huge difference in ending emotional eating!